Here's a quick noodle with the KCP Glamour Box. It's an insane two squarewave oscillator synth with some awesome modulation functions and external audio processing(the next vid) Just like all other KCP products the Glamour Box is extremely well-made, ready for the road or your local noise show. Oh, and it's sparkley too! We finally have some KCP Glamour Boxes in stock! These are definitely a lot of fun with their high sound quality drones and insane external instrument processing. Video coming soon. Available here. 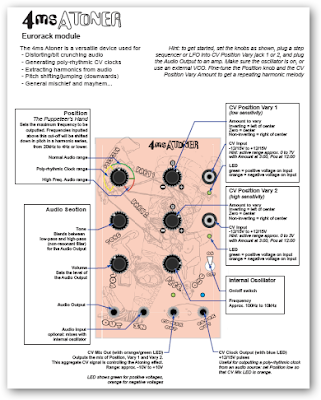 The Atoner modules are on their way but while we're waiting here's the user's guide! 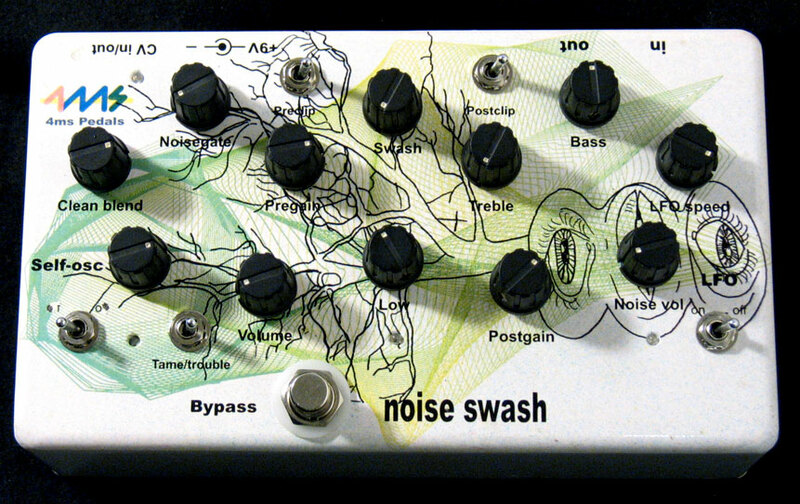 Also, we have a new batch of Noise Swash pedals on their way. Check out the artwork! 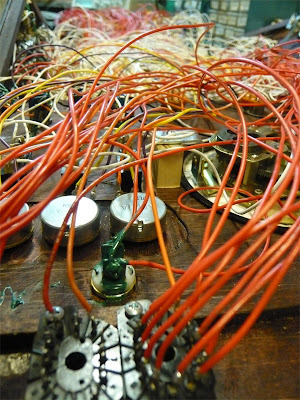 Here's a little patch we drummed up with our friend Don. Bad pun, good patch. 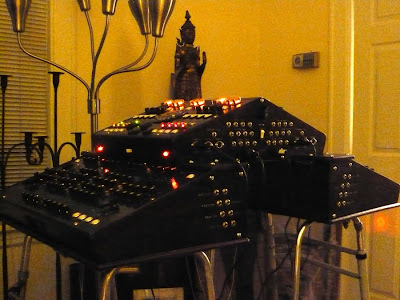 The Jomox 999 is having it's frequencies shifted! We're also using the envelope follower function from the rs35 External Processor module. The rs50 is shaping the envelope out of the rs35 so we can trigger an rs60 envelope generator more accurately. There's actually a couple of envelopes modulating the rs 240. We're also using our shaped pulse to clock the rs200 sequencer, using output A to modulate the rs240 even more. We also used a little too much Eventide 2016 Reverb but that's okay ;) Fun stuff. Awesomeness! The NoiseRing is controlling the pitch of the Anti Osc which is being modulated by a Cwejman D-LFO. It seems random at first then you can start to hear a structure in the chaos. The NoiseRing will repeat a sequence for while and then change to another random sequence. The sequences vary depending on the "Chance" and "Change" variables which can also be modulated externally with CV's. The Noisering is also clocking an Analogue Systems rs200 sequencer, pitch A going to the linear fm input of the AO. The rs200 is also triggering an rs60 EG which is opening the Borg filter module, doubling as a filter and VCA. FM randomadness! 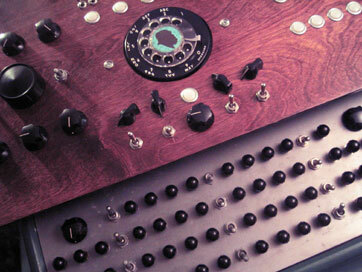 We 're super excited to announce that we will now be offering HamHeart synths. These little beauties should be available late next week! Woohoo. Wiard and Malekko will soon be releasing a new module, the Envelator. The Envelator is 10hp of envelope generating awesomeness. 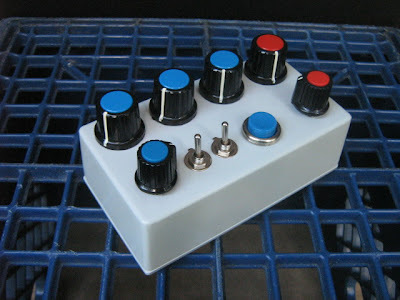 The Envelator brings envelope functions to the Eurorack world unseen until now. It offers simultaneous output of positive and negative envelopes as well as voltage control of attack and decay functions and more. Sweet. This is just a reminder to come check out Dewantron tonight at Spaceland in Silver Lake tonight! Bring an instrument to play with you and save $5. Okay. Finally! Not a very musical sequence but we're just trying to show off all of the incredible sounds the AO does. For a second we had it sounding like a violin! You can also hear a short envelope with some serious FM'ing by the Cwejman sine. 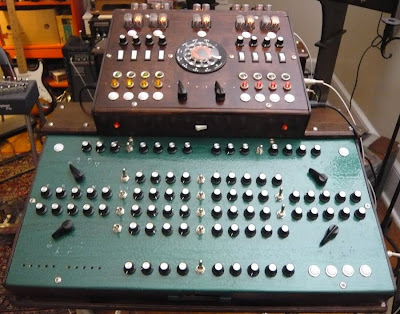 We're using just the AO, the Borg as a VCA and an Analogue Systems rs200 sequencer and rs130 PSG as a quantizer and a Cwejman sine wave for modulation. At times it sounds like there's a filter but there's not! The AO has a 1volt/octave input as well as exponential, linear and wave envelope inputs which reveals some super awesome FM sounds. For the money and high-quality build the AO is a no brainer. And it sounds fantastic! 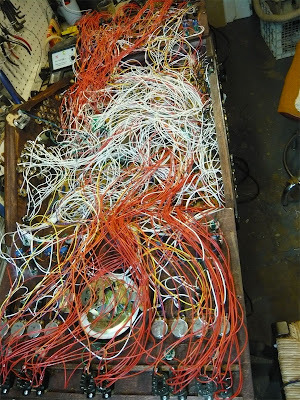 Dual Primate Console 2 - Finished! Don't forget about the Spaceland show on 10/13. Brian and Leon Dewan will accompany a program of silent short horror movies at the Cinefamily Silent Movie Theater. 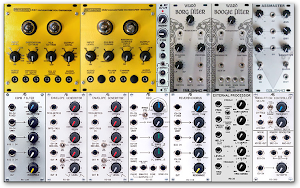 Wiard / Malekko Anti Oscillator Available Now! Modules available here at the top of the page. Analogue Systems has just released a brand new module, the rs440 BBD Analogue Delay. 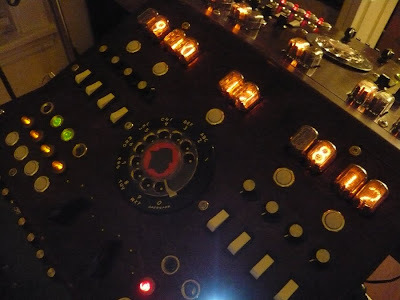 This is an awesome sounding delay, utilizing a Panasonic 3011 BBD chip. Analogue Systems has done a great job keeping the price down on this voltage controllable delay. There is some clock noise at longer delay times but the use of a low pass filter after can easily rid you of it. Actually, the clock noise is pretty fun. You can use it as an effect! If you've had any experience with BBD delays you know that clock noise can be an issue. Luckily most modular users have multiple filters ;). The rs440 has two cv inputs for controlling the delay time, one with an attenuator. There's also cv in for controlling the wet dry mix. In this video we're running a simple sequence using an rs95 square wave. The output of the VCA goes into the rs440, and the rs440's out into the rs100s Low Pass Filter. 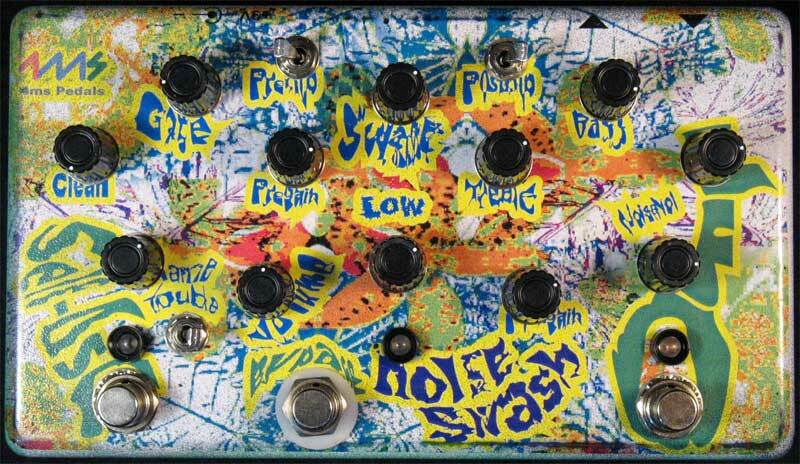 This delay sounds great and the feedback and freakouts have a wonderful tone to them. We're running one of our sequencer channels into the variable cv input, sequencing the delay time. Yes. Sequencing delay time! Woohoo! We also run a medium-speed triangle LFO into the fixed time near the end, which gives the delay a nice vibrato. Cheers! Leon, Brian and Big City Music invite you to come check out Dewanatron! 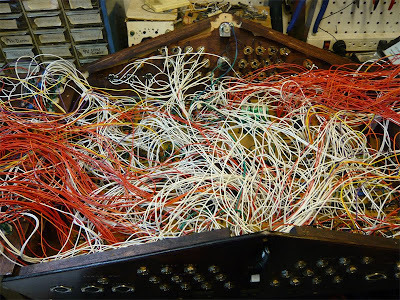 The guys will be showcasing their new Dual Primate Console. The new DPC is modular in essence, making it more portable than before. There's some new features too. If you've never seen Dewanatron in action, here's your chance. This has to be one of the most fun and entertaining shows we've been to. Leon and Brian are great people and the atmosphere they create is open and friendly. This time you can join them. Bring an instrument! 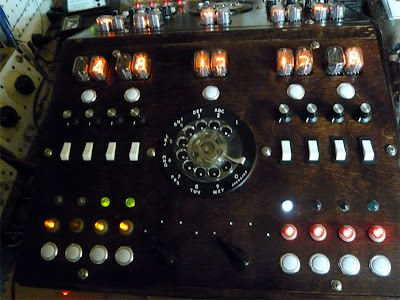 Dual Primate Console -Check out the nixie tubes! Some shots from the inside of the DPC. Handbuilt... Let's see a machine do that! In honor of Dewanatron coming to town we made a short video with the Melody Gin. We're having some fun with the Dewanatron Melody Gin. The Melody Gin's envelope is being triggered by the Elektron Machinedrum's Impulse machine. The Impulse machine allows you to send out gate pulses which can be super handy. The Melody Gin's audio is patched into the Machinedrum and we're using a bit of the built in reverb. 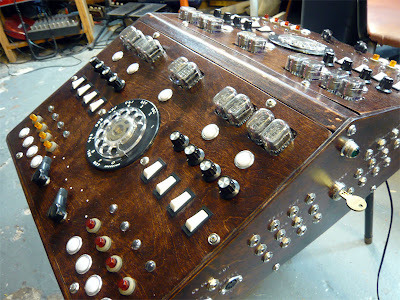 The Melody Gin is a truly original synthesizer, hand-built by Leon and Brian Dewan in New York. 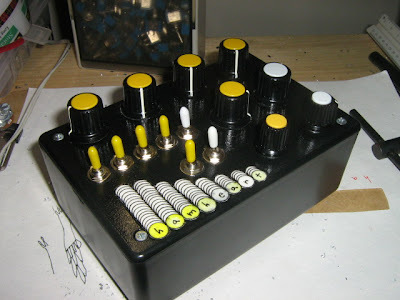 It's basically a two oscillator, four LFO synth with cross modulation, an envelope and some other really neat features like the "Slice" function. Oh yeah. 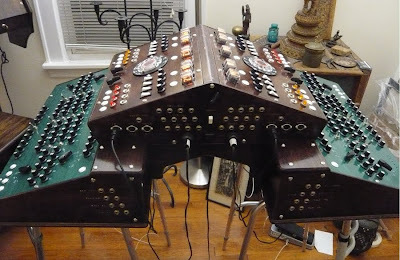 There's a cool new Dewanatron documentary you should check out by William Dickerson too. Ghettogloss presents THE DEWANATRON EXPERIMENT at SPACELAND - Tuesday, October 13th at 8:30pm! Bring a musical instrument to the show, receive a discount on the price of admission, and be a part of the groundbreaking Dewanatron Experiment at Spaceland! "Ghettogloss presents: THE DEWANATRON EXPERIMENT" at SPACELAND, Tuesday, October 13th - featuring an extremely rare Los Angeles performance by world-renowned electronic music pioneers Brian & Leon Dewan, plus a star-studded full-band array of special guest musicians - including YOURSELF if you're so inclined! In a groundbreaking FIRST for the legendary Spaceland, anyone can bring their own musical instrument to the show, receive a discount on the price of admission, and personally be a part of this historical event! The New York Times calls Dewanatron "eccentric inventors and visionary entrepreneurs exploring and sharing a new, offbeat world of music, technology and homespun craft," while The Los Angeles Times raves that in Dewanatron's last mindshifting L.A. appearance, the expanded supergroup "at full roar...howled and warbled with demented mid-1960s fervor, all simple rhythms laced up with complex and freakish electronic wails, a retrofuturistic journey to the reinvention of the synthesizer" (see L.A. TIMES LINK). Do you ever wish you could go back in time and actually perform on stage with the Beatles at The Cavern Club, groove with The Velvet Underground at Max's Kansas City, be an integral player in Andy Warhol's Exploding Plastic Inevitable at The Factory, or personally be a part of legendary formative shows by groundbreaking, inventive artists such as, say, Radiohead, Devo, Kraftwerk, or (insert your favorite band here) at their respective historically-significant early venues? Well, sorry, that's ridiculous, you can't. Tickets are $8 in advance, $10 at the door, and only $5 if you show up at Spaceland with your own instrument (random percussive objects, acoustic whatnots, strings, woodwinds, small portable keyboards, and/or/etc are welcome - anything you can reasonably carry on your person, nothing too bulky or on wheels or that will be irritating, intrusive, and/or unwieldy - all instruments subject to Spaceland and/or Dewanatron approval) to personally join in the exciting, engaging, and explosive experience of The Dewanatron Experiment!